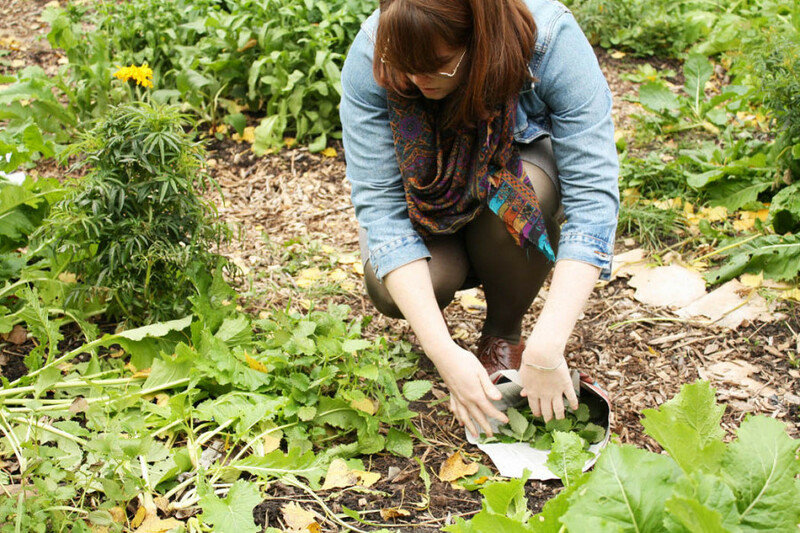 Crouched in the RealiTEA garden on Loyola campus amongst the Silver Absinthe, Leopard Lilly and Peppermint, a dozen students and community members harvested herbs for tea-making on Oct. 28 at the Concordia Food Systems Project’s final skill share. Passing around a jar of cured daikon radishes from the last “pick and pickle” canning workshop before getting their hands dirty, the group discussed tips for harvesting and closing down a garden for the season. Pruning medicinal herbs like Lemon Balm and Jacob’s Ladder, the yield then went to the solar drying racks in The Hive, eventually to be steeped by the Concordia community in the forthcoming student-run cafe. 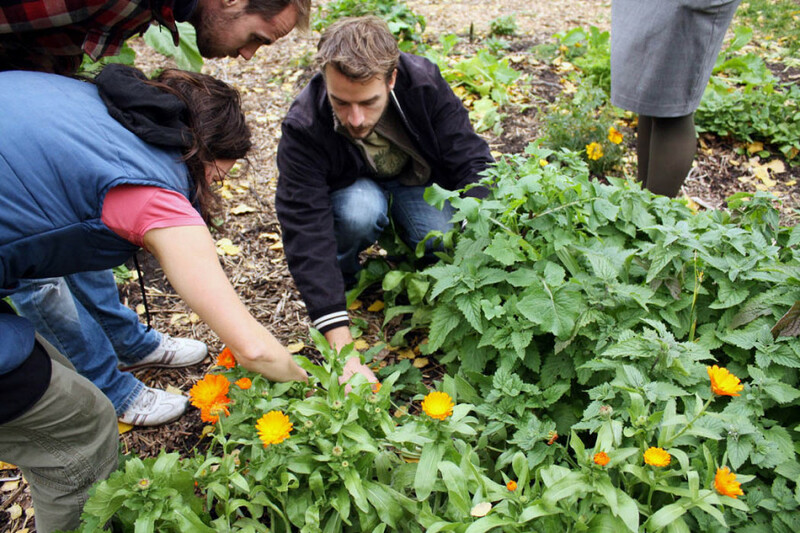 “It’s creating a closed-loop kind of agriculture system at Loyola,” said Lennard Fruehling, who developed the RealiTEA garden with colleague Cameron Stiff in April through an applied research internship and made it possible through the Sustainable Action Fund. Tucked behind Hingston Hall and the Northern Light Solar House—a space created in 2005 by the engineering faculty for a renewable energy competition that has since been shared with the FSP—the RealiTEA garden project is just the launching point for an even bigger vision for Loyola’s backyard. The pilot composting, planting, pickling and harvesting projects will hopefully grow into an “incubator farm” and “a little sustainable homestead,” where participants are invited to learn permacutlure design during the winter, and have the space and tools to apply that knowledge to the garden in spring, reaping what they sow before the winter semester. Currently, interns with the FSP are working on plans for an edible food forest and food education outreach to elementary schools in the area. He said he hopes that the integration of both house and garden will allow for “workshops, screenings, community gatherings and luncheons where students and community can cook together, talk together and reconnect” after planting. “What is our common root in sustainability? It’s food. There is a lot to discuss after we look at what’s on our plate,” he said, explaining that the workshops have also opened up discussions on food access and security.